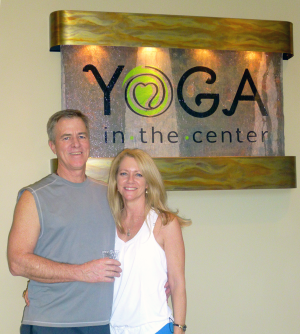 This month, the Mill Creek community welcomes a new yoga studio called Yoga in the Center at 15310 Main St. The owner, Carrie Wallace, has a goal to provide a variety of classes and services that would serve the needs and goals of everyone. There would be “something for everyone,” she said. We asked Wallace a few questions to better understand her vision for the studio and the community. SYN: Why did you decide to open a yoga studio? “If you build it they will come.” Carrie Wallace created Yoga in the Center, Mill Creek Town Center’s newest yoga studio, as a result of a dream she had.